Though many companies jokingly claim, “We fix what your husband broke!” A & K Plumbing Co. has gained the reputation for solving problems that even other plumbing companies can’t diagnose or repair. A & K Plumbing Co​. is committed to providing the finest plumbing services available to our most valuable resource, the customer. Our customers will receive services and products that meet or exceed their expectations or we will make it right. 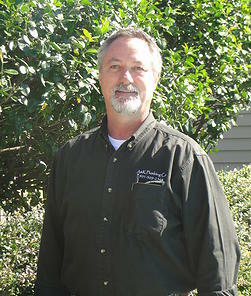 We have the finest trained plumbers to assist our customers at their home or business. A & K Plumbing Co​ is committed to setting the standard for excellence. Don’t fall into the trap of hiring a plumbing company that is able to offer a cheaper price because they operate without a license, don’t obtain the required permits or carry adequate insurance. A & K Plumbing Co. is a licensed contractor and pulls all municipal and state permits as required. A & K Plumbing Co. is insured for Workers Compensation and for liability insurance. Compliance with codes and adequate insurance is important to you for liability reasons. If a worker is injured and the contractor is not insured, you can be held liable. Or, if there is an insurance claim due to a fire or an accident that is related to unlicensed work or work for which no permit was obtained, your insurance company may dispute the claim. You also want to avoid questions related to workmanship when you sell the house, which may end up costing you more than the original repair to correct. With A & K Plumbing Co., you have peace of mind knowing that you are working with a plumbing company that has an established reputation and is only interested in doing the best job possible.